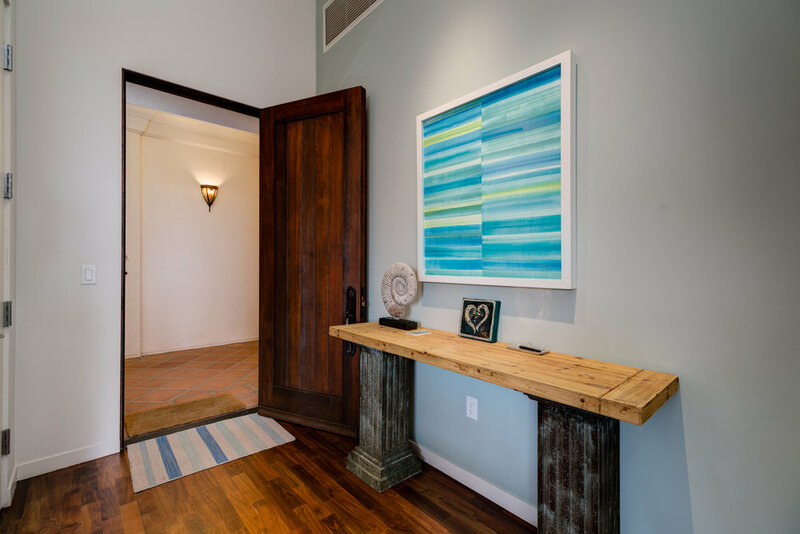 Enjoy the best of downtown Santa Barbara living in this special corner unit in the sought-after Sevilla development. 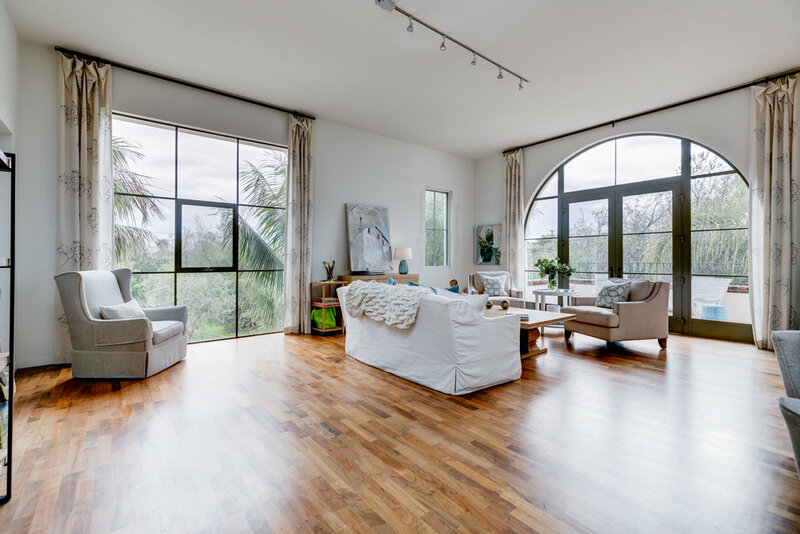 This second-floor home overlooks an open green space, and is bathed in natural light from morning to afternoon via walls of glass and soaring ceilings. 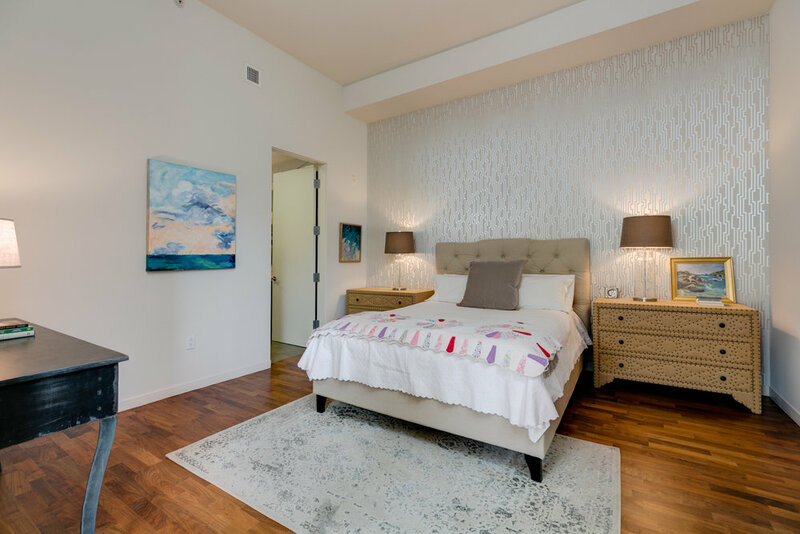 Private and sunny, this spacious one-bedroom unit features luxurious amenities and modern conveniences. 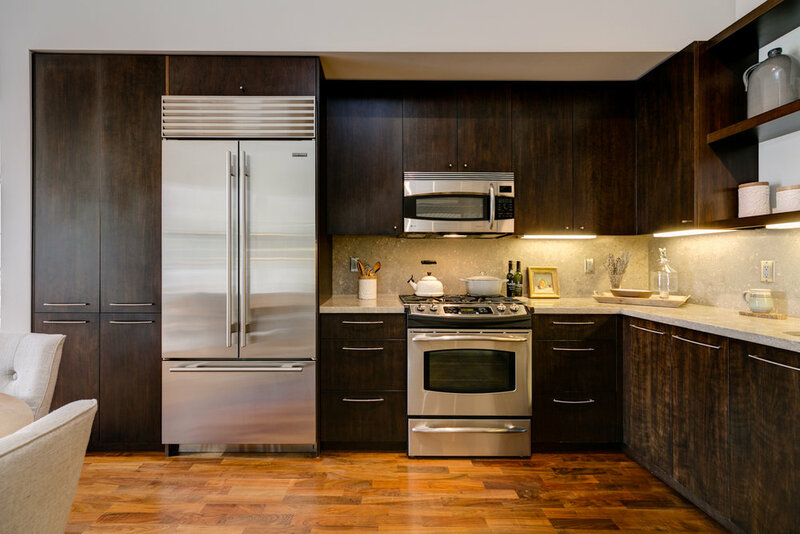 Sub Zero and GE Profile appliances complement the open-concept chef's kitchen. 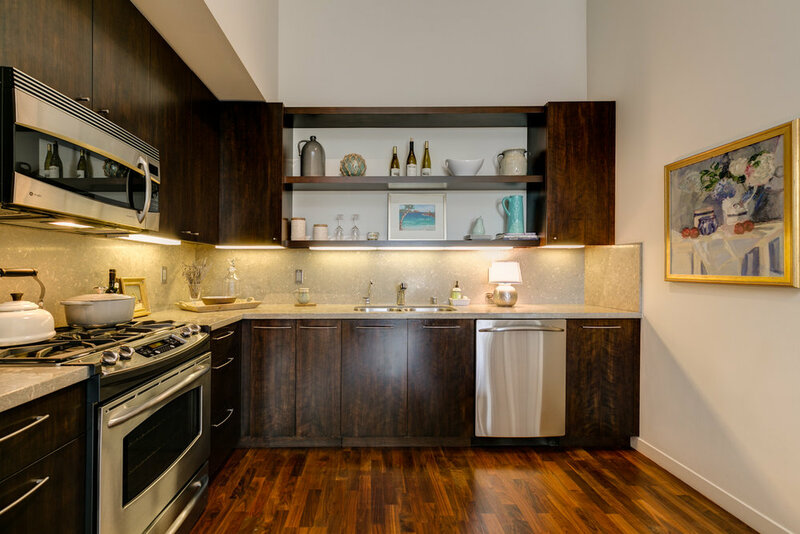 Sophisticated cabinetry maximizes functionality and provides a sleek aesthetic. 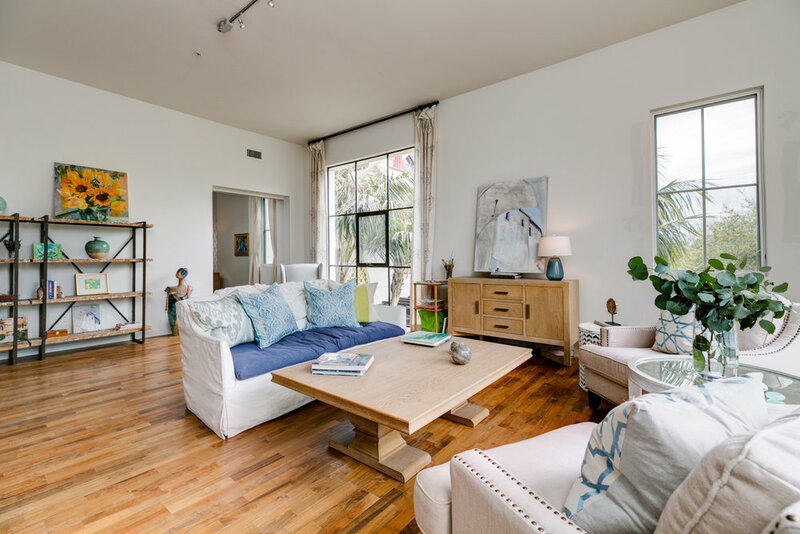 The indoor space blends with the outdoor patio through large French doors. 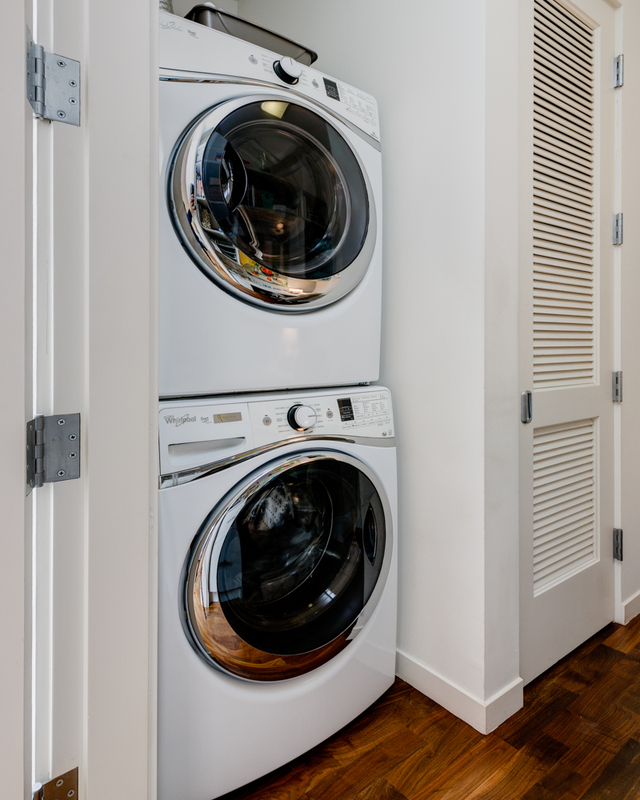 A custom California Closets storage system organizes the walk-in master closet. 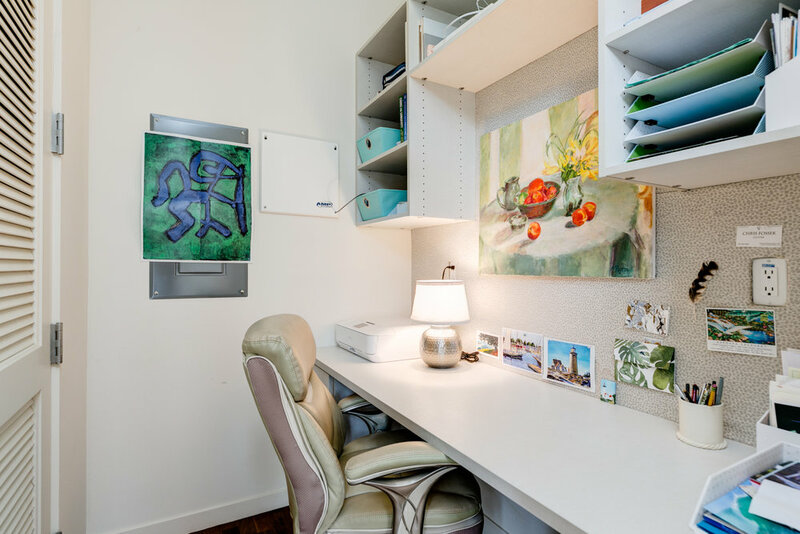 Another efficiently designed storage space features an office with a desk, drawers and shelving. 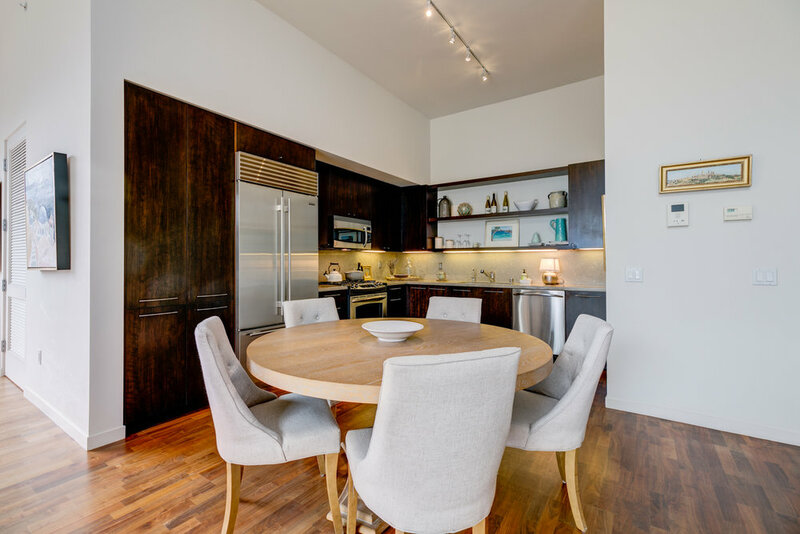 Other amenities include central heat and A/C, a video intercom to the front gate, and a dedicated parking space in the gated underground garage. 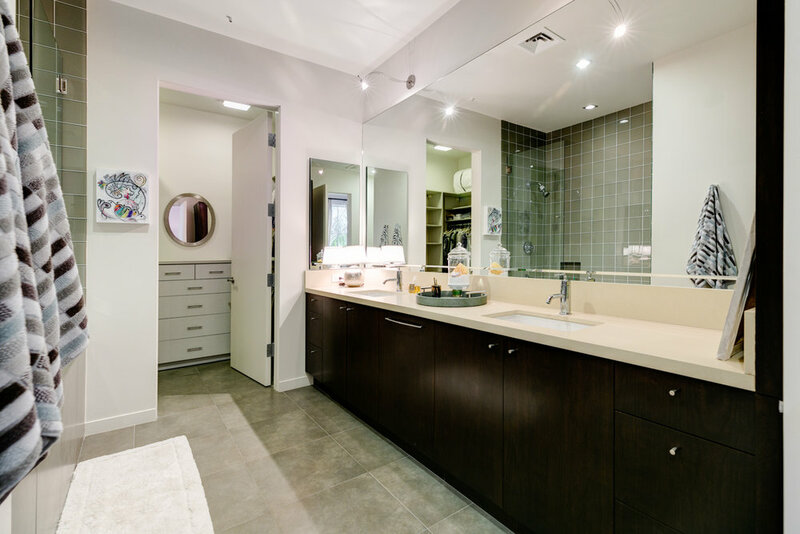 Sevilla is downtown Santa Barbara's premier luxury development. It blends timeless Spanish architecture with contemporary and individualized living spaces. Attention was paid to every detail, from the arched porticoes and tiled courtyards to the expansive terraces and curated views of the Riviera and the coast. 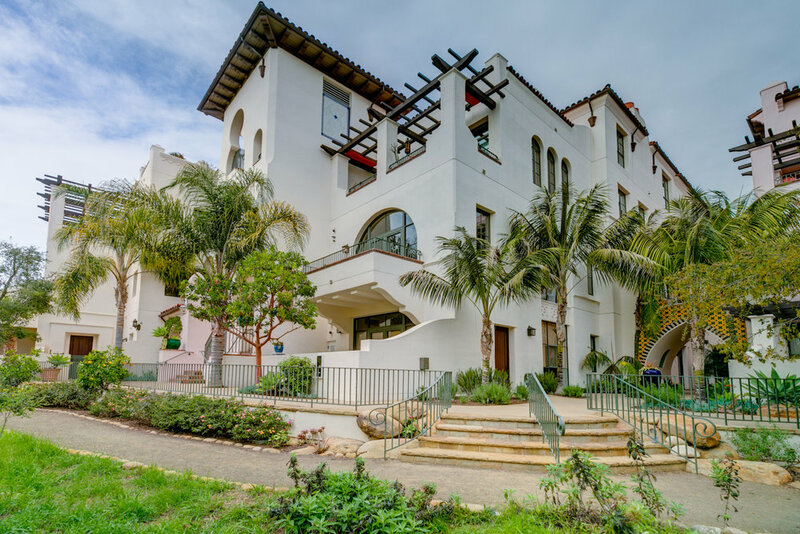 With a Walk Score of 96, this building is one block from State Street, two blocks from the Funk Zone, and four blocks from the beach and Stearns Wharf. Two blocks away is Santa Barbara's new La Entrada project, offering an enhanced urban experience with new shops, restaurants, and hotels.